This cold winter weather has me craving hot coco. The deep brown and purple fit my mood just right. 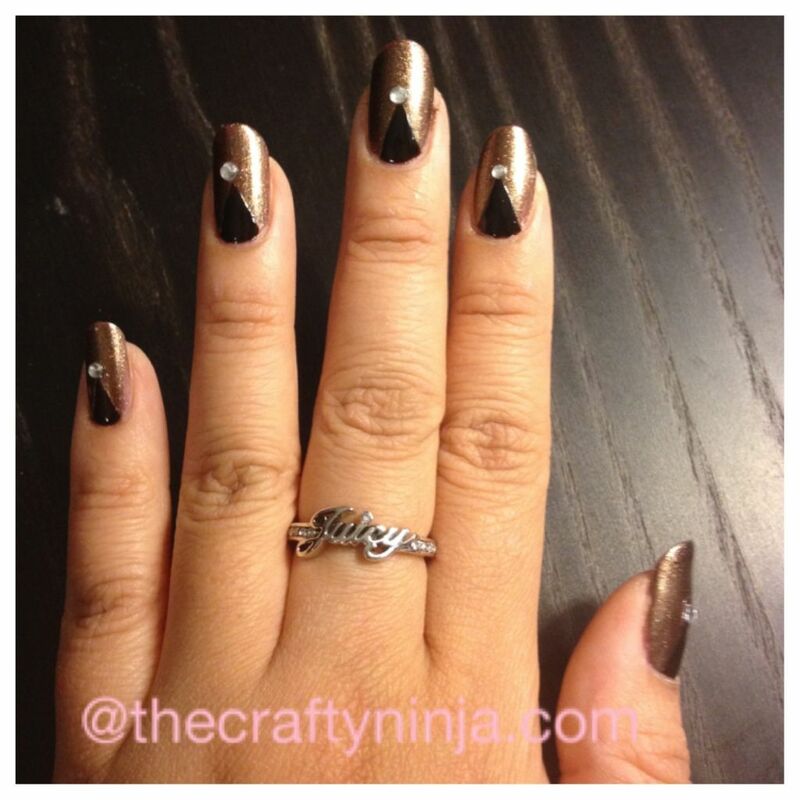 Check out my tutorial on how to create this Triangle Manicure with Rhinestones here.